Years ago I made my first trip to Spain. I started in Madrid and was less than enthused. As I was planning to head out to Portugal I met a guy who could not stop raving about his time in Barcelona. I was skeptical after not really enjoying Madrid, but my friend and I decided to give it a chance. Barcelona is located in the far Eastern portion of Spain so going there meant we would be skipping Portugal to head farther East afterwards. In hindsight, I wished we had gone there before Madrid but, alas, we did not so this was the path we needed to take time wise. No regrets as when we got there we realized how lovely it was in so many ways. Barcelona is a huge city with multiple unique districts to explore. I cannot pretend to have visited them all but the areas I did explore were beautiful, friendly, and charming! My trip was in the winter heading into Spring so we were cold a lot of the time we traveled throughout Europe. Barcelona was different though not near as cold, no snow and actually quite temperate considering the time of year. Those of you who know me also know that cold is not my thing so this was a happy reprieve! I returned a few years later in the summer and was also pleasantly surprised by how mild that time of year was as well. I prefer summer weather but who really likes sweating all day? Yeah me either. Barcelona was mild all year round. They do experience heat waves from time to time but that can be tolerable with #3 discussed below. All of Europe enjoys this, what I call, culture of walking but in Barcelona it was to a whole different level. I don't think I have ever seen so many streets closed down for shopping and exploring. As soon as you round one corner you not only find yet another walking street but park after park, and I don't mean small ones, I mean big, beautifully manicured parks perfect for relaxing outdoors. As soon as we got settled in our hotel we walked right back out so we could explore the lovely little side street we were on. That street led to another that was shut down all evening and had beautiful flowers as well as cute little cafes and shops. We adored it and found ourselves out and about nearly every waking moment! I can imagine how healthy living in Barcelona would be. The thing that feeds my soul most is the sea. I love being near it and honestly cannot imagine living anyplace that it was not very nearby. Part of the failing of Madrid, for me, was the fact that the ocean was simply not a part of life and to get to the sea would be far more than just a day's outing. 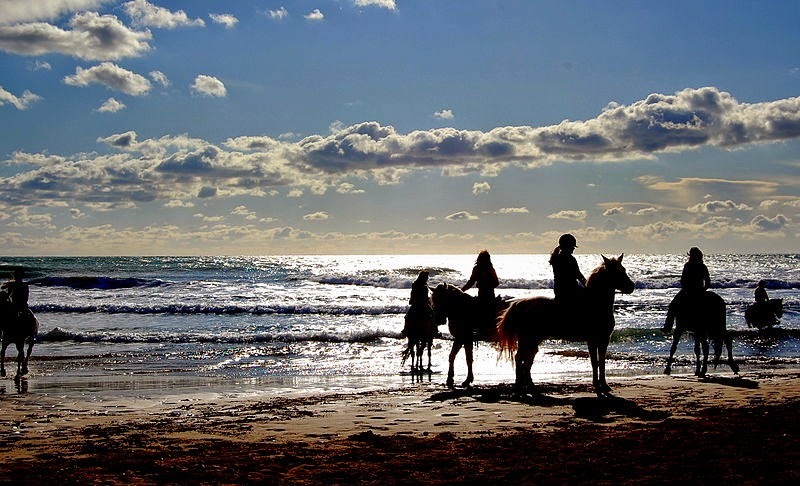 In Barcelona, the Mediterranean sea is easily accessible and enjoyed. Because of the mild climate it can also be enjoyed all year round. National Geographic actually named it the #1 beach city in the world! I am not sure I agree with that especially after living in Hawaii but it certainly is high on any list. 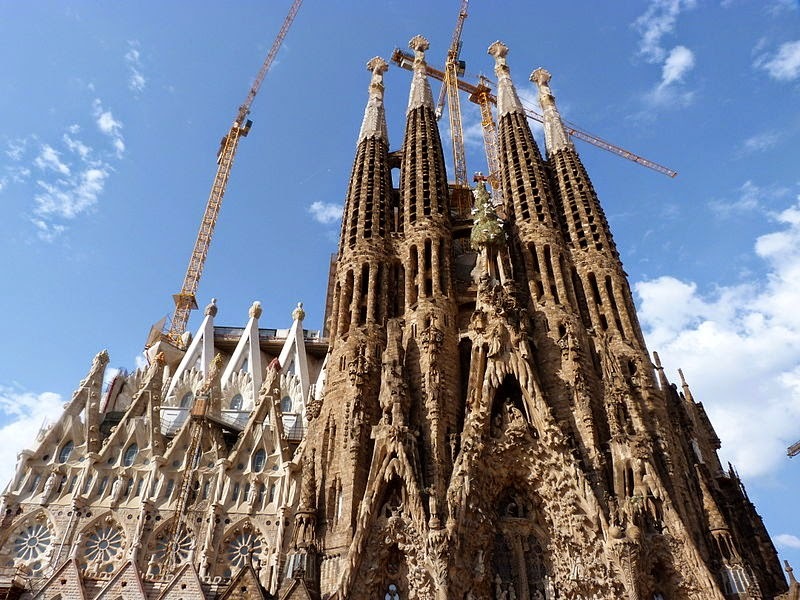 Perhaps the most well known site in Barcelona is La Sagrada Familia. I figured we would head out to see it but, truth be told, we were sort of done with churches after our time in France, so I was not overly excited. Once we arrived, however, I realized this was like no other church I had seen and I quickly realized why it has been covered in scaffolding for so many years. The architecture is like nothing I have ever seen. I highly recommend paying the fee to tour the inside as it is absolutely breathtaking. Don't forget your camera! Barcelona has so much more than just this one church to admire. 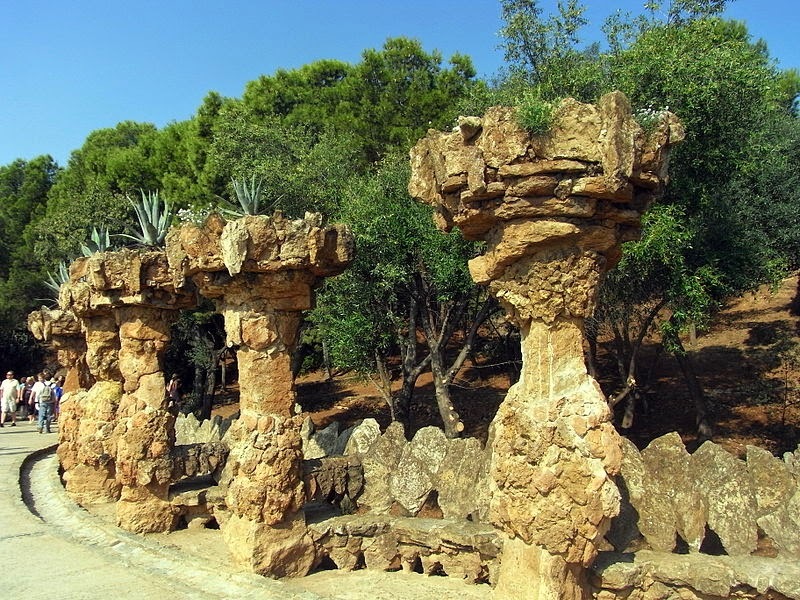 Everything from shopping complexes like Las Arenas to the Parc Guell is just brimming with beautiful architecture. I never realized how much I appreciated it really until I visited this city. Tapas and more tapas...need I say more? Yes? OK well Tapas are a great way to try out every dish. Find a locals, Spanish only speaking cafe and request whatever is best. You will be brought small samplings of many different dishes. 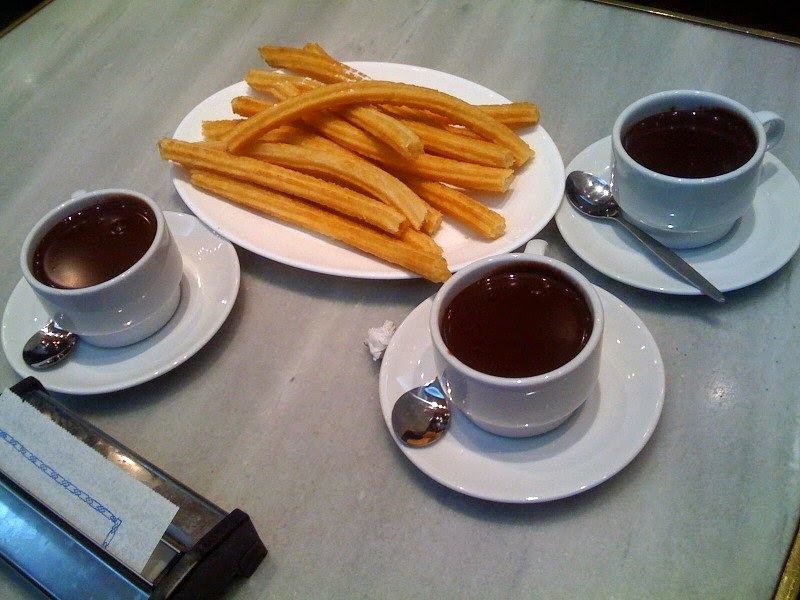 If you want to start earlier in the day try the churros y chocolate. Yeah Barcelona locals eat donuts dipped in chocolate for breakfast! Don't tell my kids! If you wish to go a healthier route there are lovely food markets scattered throughout the city. The largest and most well known is La Boqueteria, where you will find beautiful cheeses, fresh fruits and vegetables, olives, and an array of meats. Just be sure to push through the crowds of tourists at the beginning, they thin out making for a nicer experience the farther in you go! 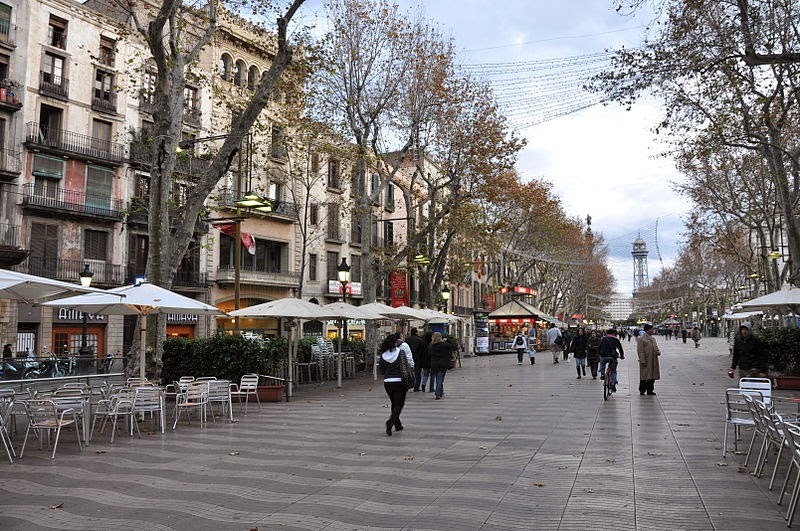 Tip: Aside from the things I already mentioned be sure to stroll Les Rambles, ride the cable way to Montjuïc mountain, see a flamenco show, explore the Olympic venues, and sail out into the sea on an evening cruise! Photos by Wiki commons media! Have you been to Barcelona? What did you think? Will you go back? Well then you just must go back to enjoy them! Its an unforgettable city. I lived there last summer and may be returning soon. A rooftop terrace is a must when picking your apartment. Yes I guess that would make for a nicer apartment, thanks for the tip! I loved Barcelona when I was there a few years ago and are dying to get back! We had to skip it this time around because there wasn't enough time, but these photos are making me regret that decision! Great post! I always find it hard deciding if I should return to a place i've already been or not! So much to see, but BCN is the type of place i'll be sure to see again one day! We may be biased, but Barcelona is an amazing city with a fantastic food scene. Don't hesitate to come back soon! Nope, not biased, I agree! I'll be back no doubt! I agree whole heartedly:) Not sure how I feel about Madrid though, crazy they are in the same small country! Oh my god, I so agree with you!!! I absolutely love Barcelona too. My partner and I are going to live in Spain for a few months next year so this article has just excited me about that! Oh how exciting! I have a few friends living there now and they are loving it. Good luck and have a blast!